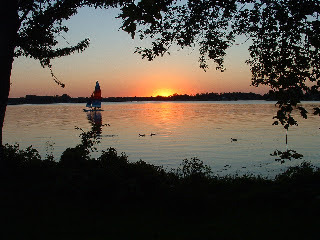 WINONA LAKE – The results of a three-month lake water study in Kosciusko County found that 30 of the county’s lakes are healthy. Boal announced the study’s results Wednesday at Grace College & Seminary, which conducted the study, paid for by a $250,000 grant from the Kosciusko County Community Foundation and $50,000 in water-sample testing provided by the Kosciusko County Health Department. “The results have been very good,” Boal said. The study helps to disprove the common perception that Kosciusko County lakes have poor water quality, Boal said. The 30 lakes were selected from among the county’s more than 100 lakes and a river based on their size, significance and locations in the county, Boal said. The Tippecanoe River was not included in the testing. Each of the 30 lakes was tested in five different locations, such as near the shore, over deep water and near an inlet, three different times during the months of June, July and August. Eight different tests were conducted on the water samples, including tests to detect E. coli, dissolved oxygen and chlorophyll content, and water temperature.